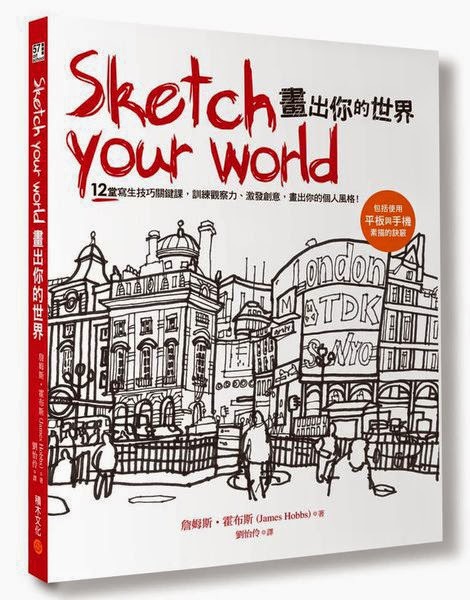 I'm not sure I saw this coming when it was first published ten months ago, but with the recent release of a Chinese edition, Sketch Your World is now available in six languages. Along with English editions in the UK, US and Asia, it has also been published in French, German, Korean and Taiwanese. The US edition has recently been reprinted, and the UK edition has been reprinted three times. 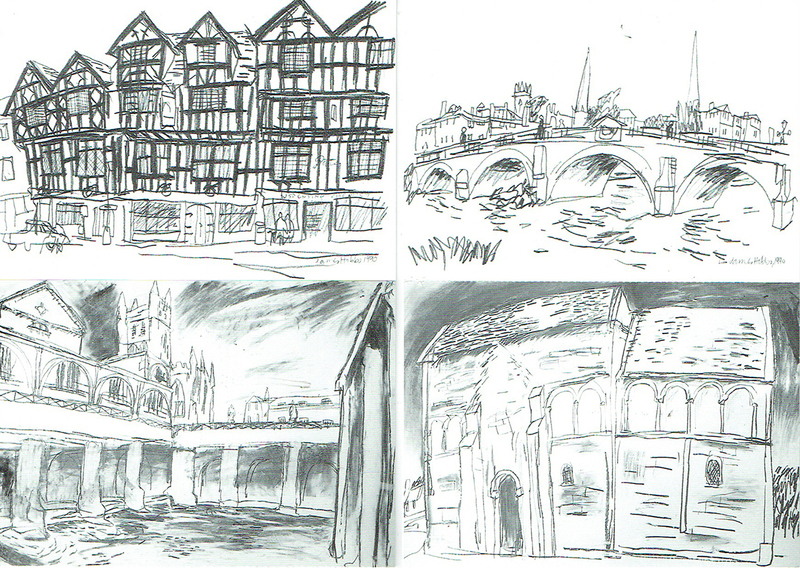 There is more on this Facebook page about Sketch Your World, or follow me on Twitter and Instagram. I'll be posting shortly about some forthcoming events. I am happy to say that I have a drawing in Gabriel Campanario's new book The Urban Sketching Handbook: Architecture and Cityscapes published in November (US) and December (UK) by Quarry. Gabi is the founder of Urban Sketchers, a staff artist at the Seattle Times, and the author of The Art of Urban Sketching (2012, Quarry). This new book, the first in a series on urban sketching, comes in a format that matches Moleskine's A5-sized sketchbook, complete with elasticated band. It's easy to imagine it being dropped into a bag with drawing equipment by people on their way out. • Melanie Reim, who I met in New York a couple of years ago. Many of these, and Gabi, have drawings in Sketch Your World.